4th of July Fireworks at the Nodak Speedway - Word on the street with Visit Minot!Word on the street with Visit Minot! Nodak Speedway will host racing beginning at 6pm on July 4th. Five classes of cars including IMCA Modifieds, Stock Cars, Sport Mods, Hobby Stocks, and Legends will be racing at the 3/8 mile dirt track in front of the grandstand at the North Dakota State Fair grounds. Following the races Visit Minot and Nodak Speedway have partnered to have a fireworks display. Fireworks are sponsored by Visit Minot and put on by Derrick Miller of Mum Pyrotechnics. 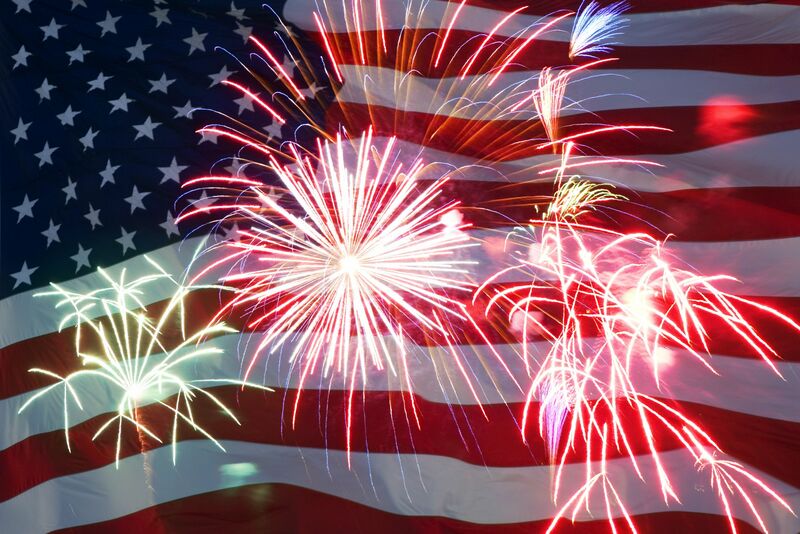 Friday, July 4th, the grandstands will be opened and free to the public starting at 9:30pm. No personal fireworks are allowed to be shot off on the North Dakota State Fairgrounds. “The Nodak Race Club is happy to partner with Visit Minot to once again have the fireworks on the 4th of July at the Nodak Speedway,” Nodak president Ole Olson explains. The grandstands for the race opens at 5pm. Tickets for the race are available at the door or can be purchased in advance at Enerbase’s Express Mart Location. For more information, visit www.racenodak.com. For a chance to win a family 4 pack of tickets (2 adult tickets & 2 kids tickets) to the Nodak Speedway races, leave a comment below letting us know why you’d like to take your family to the races! Four winners will be notified (via email) on Wednesday, July 2nd. UPDATE: Congrats to our blog winners Aaron W, Jessica O, Amanda R and Monica P.
I would like my niece and nephew experience the races for the first time and enjoy the fireworks show afterwards. It would be our first time at an speedway race, and our kids would really enjoy it. I would love to go, as I’m not from Minot and have never been to the races! Hey! Super excited for the 4th of July! I want to take my family to the races because we have been in ND for a year and have not had any time to go! My husband works in the oil fields so it is hard to predict when he might be home! However, this Friday he actually has off!! So excited for a holiday that he will actually be with us! This will put the cherry on top of a great holiday! Thanks! Would be the first time for my kids. Besides having never won anything, taking our kiddos to the races for the first time is why I would love to win the tickets!! We experienced the loss of my daughter’s dad this past December and are looking for something fun and exciting to do on this first Fourth if July without him… To help ease the pain and sadness of his loss! It would be a wonderful way to celebrate Independence day and get away for the day. My son is leaving town for the rest of the summer, so this would be a great way to spend some quality time with him before he leaves! My husband and I actually have the 4th off this year and being new to minot would love the chance to go with our nephew to the race. Such an exciting thing to do on one of the rare few days we both have off. Have never been to the races and think it’d be a fun family outing! I would love to take the kiddos to the races this Friday. My nieces are here for a week and they would LOVE to enjoy what my daughter and I do every week. This would be a super fun way to celebrate the 4th with the kiddos! To see the excitement on our Nico’s face when he hears the noise and excitement of the races will be priceless! We would love some tickets! Going to the races sounds like a wonderful American Fourth of July fun way to celebrate. We are a military family that moved here recently. My husband and son are into racing, my son bought his first car not to long ago and it’s a 69 roadrunner that he could drive us there in. I would love to take my family to the races my 1 yr old son cooper loves race cars and it would be his first night at the track! I would love the chance to take my family to the races and the fireworks. We can’t afford a lot of outings due to medical expenses for my one year old that always leaves us in a financial bind and third would be a huge treat for us all, especially my one year old who didn’t get to see the fireworks last year because his health prevented him from being able to be outside. We want to see cousin Wyatt Olson race!! Being we live out of town, we’ve only gotten to the races once since we moved here (over 2 years ago). Would love to see and races AND the fireworks on the 4th! Sounds like so much fun!! Would love to be able to take my stepson while he’s here in town. It’s the first time we’ve been able to have him for the 4th! Went to the races with my family all the time growing. I want to pass the experience on to my kids. I think they would enjoy it as much as I did as a kid! My family loves the races!! We try to go every Sunday. It is great family fun! I would love to go to the races with my family on the 4th of July. My son loves race cars and he would be so happy if we won tickets to go. It’s great family entertainment! Nothing like racing and fireworks!!! Back home for a visit and would love to give my children one of my childhood experiences. Thanks for this opportunity. We would like to go to the races because our plans fell through – we planned to camp at Mouse River Park and can’t now because of the enormous rainfall. I would take my 3 kids! They have never been to a race before and I know my little guy would LOVE to watch the race!!!!! We would love to win a set of tickets for our family! It would be great way to end our last week in Minot before my husband deploys for the year!! Our kids would love it! I will be visiting my son who is in the US Air Force and stationed in Minot, ND. This is my first visit to your city and the first time I will see my son in 5 months. This will also be the first time to go to the races. My husband desperately wanted to go last year and it just didn’t work out. I would LOVE to surprise him with tickets (and get the wife of the year award!). I want to go have some fun…. We love the car races and NoDak Speedway always puts on a good show! Hello! I am super excited for the fourth and the races this year! My son is visiting my from Upper Michigan and loves the races and fireworks! We haven’t had the chance to go just yet, but we do plan on going this Friday for the fourth for sure! Thank you all for hosting this great event and allowing a place for a great fireworks display! Would love to celebrate the 4th with my family at the races! Our kids would love it!! I would love to win the family four pack. We have never gone and I think it would be a great way to cheer up my 7 year old daughter who just had surgery on her foot. Unfortunately out of town but certainly know who to give tickets to. Would love to go to the races. Haven’t been in years. WEould like to take my grandchildren that haven’t been yet! I’d like to take my fam to the races at Nodak Speedway because the smell of racing is something you only get at the track! The smell that brings you back to when you were a kid. The excitement, the sounds, and the best way to experience MERICA! So, racing AND fireworks…..can’t beat it!!!!! My husband is halfway through a 7 month military deployment, and he is able to come home for a short visit for the 4th of july. He grew up going to races, and I cant think of a better way to surprise him and our two kids than with racing tickets, followed by fireworks! Would love to take my family. Always love the races and fireworks display. We would to attend the races as we’ve always visited Minot but never been to a race, but would like to witness them. We r also coming to the state fair this year later in July. Wife is a HUGE race fan too.